Praise God for the seasons! It’s taken me some time to fully appreciate each one and I’m sure by the end of my life I will still not fully grasp how fortunate I am to have been placed on a section of earth that experiences all four seasons. I’ve always been a summer person. In younger years it was the all day bike rides. I still enjoy that, but the lazy days on the river in the kayak suit me more as I age. Just give me the sun! And nothing beats pitching a tent on the sandbar for a full moon swim and slumber. Summer abounds with outdoor activities including the parades and festivals my husband and I participate in as clowns. Ahhh…. summer, it goes much too fast! 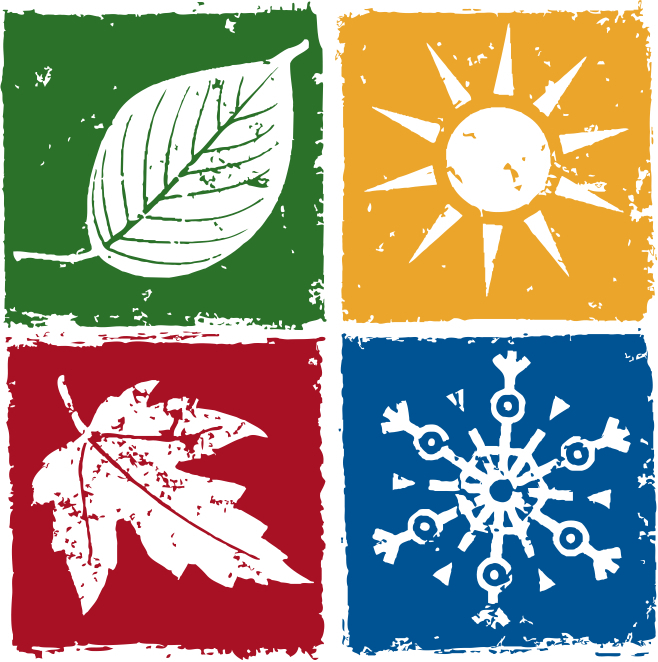 Over the years it became apparent that my energy level and attitude changes with the seasons. When fall arrives, I tend to close inward and slow down. I’ve never been a winter enthusiast. After being diagnosed with Seasonal Affective Disorder (S.A.D.) I learned to stock up on vitamin D in pill form to make up for the lack of it I had been absorbing on those sunny summer days. But I also learned to be gracious toward myself and accept what the long winters in Wisconsin have to offer by enjoying the reclusive writer in me. I actually look forward to the winter season now– particularly as I labor through this article. I love to write. I love to pray. I love to read the Bible. Those are the ingredients that produce this journal…. and well…. this month? THIS IS LABOR! It’s the last day of July and it’s a gorgeous day out there. I’m scrambling to meet my personal deadline of one article a month. This is so much easier in winter! Long days of lounging by the fire in my pajamas tend to lend themselves better to reading, writing and praying. I’ve got it covered though. I made my kayak plans with friends for tomorrow– the first day of August– and I’m meeting my journal deadline TODAY! And just how do I plan to do that? Well, if squirrels get to enjoy the provisions stored up during summer, then I figure I get to rest and rely on stored goodies from another season as well. It also makes it handy to have what I’m about to share conveniently located on one page for later reference. And so, I’m pulling a few things out of my storehouse for this month’s entry. As most of you who follow my blog already know, I am a former member of the Watchtower Bible and Tract Society, better known as Jehovah’s Witnesses. Since being delivered and coming to know the truth of Jesus Christ, God stirred up a passion in me to reach out to Jehovah’s Witnesses and those affected by their teachings. For the past four years my involvement with Witnesses for Jesus, Inc. has allowed me to do this. I serve on their Internet ministry team, co-host the on-line Meetup groups, and write articles for “Julie’s Corner” It all takes place in cyber space, but this summer I also went local. Another former Jehovah’s Witness friend brainstormed an idea to share what we know with our local church. I said I’d pray for and support her in however God led her in this idea. And I did. Then I ended up leading the way instead. It’s taken up some extra summer hours…..however, we did discuss some of our plans while kayaking together so all was not lost! Some of the planning was made simple as Witnesses for Jesus, Inc. already offered a DVD series meant for small groups at church. Thanks to Christy Darlington and her gifts, our class syllabus incorporates her teaching lesson on ANSWERING QUESTIONS YOUR JEHOVAH’S WITNESS FRIENDS ASK But we still had to convince the church to stay inside for another hour and a half after the pastor’s morning sermon during July and August for our 5 week course. I know how trying that can be for “summer people.” So my self-imposed task this summer was to produce a short video as a form of advertisement for our class. I searched through many video testimonies of former Jehovah’s Witnesses and those who minister to them. I was looking for the perfect appeal to answer the “why” of bothering to reach out to those nice people offering Watchtowers at the door. After hundreds of hours of screening through testimonies and figuring out my computer’s movie making program, I painfully edited it down to just under 5 minutes. Then my church suggested I get it down to 3!! Arrrrgh. 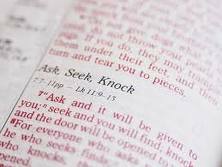 I complied and had it ready for the Sunday morning we introduced our class by “interrupting” the pastor’s sermon with a knock at his door as my friend and I walked up to him carrying our Watchtowers explaining we had an encouraging message to share with him and his neighbors. Our video then ran in the hopes to stir up the hearts of the church. Two weeks later on July 29, twenty-three people showed up to attend our class. This far exceeded our expectations as we were told we’d be lucky to get 6 to 10 people during the summer. The church is curious about Jehovah’s Witnesses. It is our hope to work out our “bugs” during this 5 week course and take what we’ve learned into more area churches. We want to make our syllabus available to others who wish to do so in their area as well. And so, in addition to the teaching series we’re using being available on-line, my summer project the — advertisement video — has been made public on You Tube also. How is this related to the opening statements in this month’s article? Easy! It’s summer, I gotta get off this computer and outside…. so watch this video! WHY REACH OUT TO JEHOVAH’S WITNESSES? If you were expecting another Scripture-laden long article by me, sorry you’ll have to wait ’til a cool day in fall for that. Praise God for ALL His wonderful seasons. And if you have about an hour, my testimony GRACE INTERRUPTED is here. But why not wait ’til a nice cold day to watch that? I’m outta here! Kayaking anyone? “In the past, people tended to avoid those who suffered from mood disorders. As a result, many who were afflicted became social outcasts. Some encountered job discrimination. Others were shunned by members of their own family. Often, this only aggravated the problem and prevented those who were ailing from getting help. In recent decades, however, great strides have been made in understanding clinical depression and bipolar disorder. Now it is well-known that these conditions are treatable. But getting help is not always easy…. I agree with these statements. The article from which they were taken also offered advice that I further support. It encouraged seeking comfort from God’s word the Bible and fellowship with other believers. I eventually followed orders and fell in line as one of Jehovah’s Witnesses “in good standing” by closing my heart and just performing my duties. Years passed and finally in 2003, I just stopped going to meetings. When I got the article on mood disorders at the start of 2004, I read the advice on pages 12-13 on how the congregation can offer support and was confirmed that I had followed the right course in reaching out to my sister after all…. “The Bible admonishes all Christians to “speak consolingly to the depressed souls” and to “be long-suffering toward all” (1 Thess 5:14) How can you do this? First, it is important to understand the distinction between mental and spiritual illness. For example, the Bible writer James indicated that prayer can make the spiritually indisposed one well. (James 5:14, 15) Nevertheless, Jesus acknowledged that those who are physically ailing need a physician. 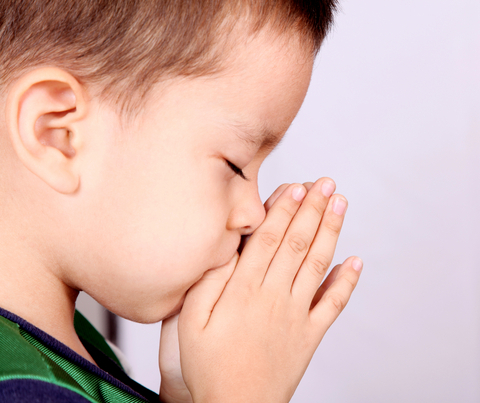 (Matt 9:12) Of course, it is always right and helpful to pray to Jehovah about any concern, including our health. (Ps 55:22; Phil 4:6-7) But the Bible does not state that increased spiritual activity in itself will cure present medical problems. I knew I had been an encouragement to that sister and perhaps the elders attitude toward it was merely a local problem and I could use the article to point out the physical as well as spiritual dimensions of my own depression and hers also. The elders had made a surprise visit to my home in mid October of 2004 demanding more activity from me with no offer to pray for me. I told them I was building my own relationship with God and found it difficult to go out in service telling others about how wonderful “Jehovah’s organization” was when I myself had begun to doubt that. Two weeks later I received a phone call letting me know of their intentions to disfellowship me which plunged me into a deep depression. I gave them the benefit of the doubt, however, reasoning that perhaps my seasonal depression was affecting my ability to receive corrective counsel so I quoted from the January 8, 2004 Awake! article to plea mercy and asked if we could put the hearings off until spring when I would be more stable in my thinking. They refused. What was my crime and why the hurry? I had begun to talk too much about Jesus. No one but me had followed the advice of the Awake! 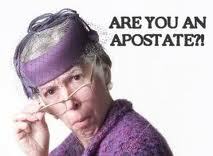 magazine yet I was the one called an apostate to the faith? They do not clarify what these false teachings are however. I learned the hard way that any teaching that does not agree with theirs is considered as false. But I’m in good company because according to them, Jesus Christ also would be considered an apostate to their faith. To have a mental illness in itself should never be regarded with shame, their own literature pointed that out. In this case, however, the term “mentally diseased” is a supreme insult and many former members are rightly speaking out about it. Active members who are still able to think for themselves are not going to put up with this much longer either. The July 15, 2011 article intended to inculcate their flock worldwide basically said that those of us who left to follow Jesus Christ are “mentally diseased.” In addition to that, they are told regularly at their meetings that those who have never joined their religion are “worldly” and will be destroyed at Armageddon. They believe that they alone have a channel of communication to God and this information about you and about me is not just from the leadership at Brooklyn, New York, but from Jehovah God himself. Basically, what they are being told is God is displeased with you and me and the only way to be in his favor is if we join the Watchtower so that we too can condemn everyone outside of it. And they call this Christianity????? To stand against this CONTROLLING RELIGION is not insane, it’s HEALTHY. “Jehovah, the Great Physician, tells us to avoid contact with them. We know what he means, but are we determined to heed his warning in all respects? What is involved in avoiding false teachers? We do not receive them into our homes or greet them. We also refuse to read their literature, watch television programs that feature them, examine their websites, or add our comments to their blogs. Why do we take such a firm stand? Yes, because of love, entire families shun their own who are not able to keep up with the Watchtower’s requirements. I have friends who have been completely cut off from their families and suffer greatly because of it, yes, some of them do fit the description of “mentally diseased” now because of this action. But then, what happened to “by providing meaningful support, family members and friends can play a significant role in a sufferer’s well-being” from the January 8, 2004 Awake! article? Which article will they obey? In the New World Translation of the Bible which Jehovah’s Witnesses use and make available to the public, Ecclesiastes 7:7 is rendered as “For mere oppression may make a wise one act crazy” and I can vouch that while under their oppression I was crazy. I entered the ranks of the Watchtower in 1996 at first happily praising God because I thought I had found “the truth,” but by 2004 I was asking the demons to kill me. Insanity? YES!! The confused years that followed were a struggle to regain my mind, but by 2007 the dark cloud of Watchtower oppression left and I totally give credit to the healing ministry of Jesus Christ, the REAL TRUTH in my life. The Awake! article on page 11 mentioned a woman who found it helpful to keep a daily journal in which she could pour out her feelings. Because we were not allowed to voice our own thoughts in the religion and discouraged from making friendships outside of it, my journal became the safe haven to release my tormented thoughts. It’s not that I need to go back into that darkness again, but I thought it might be to someone else’s benefit to read selections from my personal journal. Even in the Bible’s familiar Psalms of anguish, I believe the Spirit of Christ was writing them. I notice this in my own struggles also. At times my pen was seething with anger like a caged beast demanding freedom and then interrupted by a small still voice that said trust God, wait and hope in the promise of rescue not yet understanding how or when it would come about. 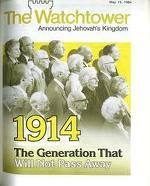 I began my study with Jehovah’s Witnesses in March 12, 1996. I was baptized 7 months later to the day on October 12. After a large assembly of Jehovah’s Witnesses I came home and wrote this April 14, 1997: Observation about the Truth to relate to new Bible studies: I realized it along the way and want to get it across to my students. First, you recognize the Bible as being the source of Truth. Then you recognize the organization teaching it and as a whole living by it. Within 3 1/2 years under the influence of that organization, I wrote in August 1999: My worst fear is not that this system will end, but that I be found among the hypocrites putting faith in one another and our works and not the God of Salvation, Jehovah. By that December, I questioned the existence of love: God is love. What is love? Love involves discipline. It is not love on the part of a friend if he allows his friend to inject poison in his body. Freedom of choice, then, becomes wicked. True love corrects, directs to a righteous way. It does demand obedience to “a way.” Tolerance, then, is against one way. God was jealous for me and ready to show me the poison I’d been drinking in the Watchtower. I was about to undergo His discipline which eventually led me to repent of my involvement with the Watchtower. December 1999: Into the pit. The cold harsh reality of life. So brief. So unimportant. Death so final. To know that there is no true friendship or love. We are essentially greedy and self-centered. We live for our gods or ourselves. But nothing is really truth. Life, all life, will end. Meantime, we live as we choose or make the most of our unfortunate circumstances. March 23, 2000: All that I want. When all is said and done, what we all craved is LOVE. Unconditional. Life presents to us opportunities for praise in our accomplishments, material assets to prove our worth, but we are not really worthy until we believe—really trust—that we were worthy of LOVE. The ones who can believe are truly blessed. No matter how many lies or drugs it takes, we never quench the quest. Don’t make me stop. I’m too weak to believe otherwise. I’d rather believe the lie that LOVE exists. God exists. Life has purpose. I have a right to be here. Don’t take that away, it’s all I got amongst my mountain of things. Good for nuthin’ slave… Manure is manure. It has value if spread out to nourish vegetation. Other than that, it stinks. Manure is manure. I am of value when used to help other things grow. I will cling to whom I trust. I know you created all things Jehovah. I know you have given me Spirit and Truth. I know you care, I trust this. But what of earthly love? Say I must aspire to. It is a narrow road, perhaps too narrow for me. That makes it easier to leave. Continuing in the Watchtower. Welcome to my nightmare…. June 2002: “Then they shall know I am Jehovah!” When? When He acts violently against this dying system? Isn’t that how we FINALLY make ourselves known? By our violent tantrums as we break free from our enforced cover of purity? Who am I now???!!!! As I smother every last vestige of myself in a shroud of Christianity, I find myself, yes, anticipating that violent day of proclamation prophesied about Him but it’s also for ME!!! But for what? To live forever in that world I’ve begun to despise by seeing its future inhabitants? There is NO LOVE, only clean, smiling people taught so well to be that way. or is it because I’ve come to know them/it/Him? 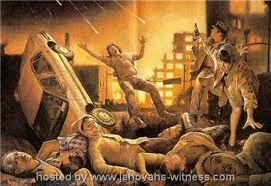 Jehovah is no longer God of course. So much would be solved if I could just express myself, but doubt is not allowed. Protect the children! With what? Religion? Am I capable of defining love? I cling to the hate because if I don’t hate you I have to turn it on myself and I will slit my wrists. You were so mean, so insensitive, so powerful in your damned secure position able to oppress. Of course I am crazy now! You are protected by your position. I am open, naked, exposed and vulnerable. And I am trying to build my walls. I will not stoop so low as to take out this life. You will remain and I too will remain, but I will be honest and I will seek solace and I will not trust those who oppress. If I ask Jehovah to help me forgive and trust I will be vulnerable again. I knew my anger was protecting me and any thought of forgiveness or love at that stage would just make me vulnerable to the oppressive wolves I discovered in the Watchtower. I went to the meetings and out in service with a smile, but I was gone, gone, gone. All I could do was hate. Free birds don’t like captivity. I was seeking release. One will see Christ’s fire in overturning the tables and make it their calling to expose religious hypocrisy. One will center on Christ’s outreach to the hungry and set up a food shelter. Another focuses on healing the sick. All are ministries inspired by the Son of God. Again, a ministry given by the Son of God. If I were to express my ideas through Christ, you say I have lost Jehovah. If I were to present my case through Mosaic Law, you will say I have not known the Christ. I use scriptures to defend my points and you say Satan has quoted them! I find myself in a lost cause. and it has set me free. Free to also speak of the kingdom. but I will be free! Just prior to their announcement that they intended to disfellowship me, I wrote this in the fall of 2004. I just wanted to believe in love. Who would it hurt anyway? I just wanted to believe in love. When will the bullet find me? When will I feel the peace, the peace of non existence. To live and not know love is pure hell. This is the place where you love the demons because they will find a way to kill me and I welcome the peace. There’s still a conscience, it says, “wait!” You can still turn to God. Yes, I can. Out of all the voices in my head, I tried to listen to that one. It wasn’t easy, but I stuck around to listen. There’s a point at which the dedication to God becomes fused with dedication to the Society. It becomes one and the same. Leave the Watchtower and you have left God. Work for the Watchtower and you are working for God. I remember the subtlety, the encouragement to pioneer—or just “do more.” All the time. Eventually it gets to you. You begin to BELIEVE you don’t love God enough because you’re never DOING enough. You let go of that wonderful Spirit that was leading you to do works through love and begin working for THEM. I remember the feeling. It was the first time I signed up to auxiliary pioneer and it didn’t turn out well. I was “in” at that point. Prior to that I truly felt led by Spirit and I could truly love and minister to others through that love. It was a crossover. Now I’m at the crossroads again. I want to give up THEM. Their interpretation will be that I have “left Jehovah.” But no! It is because I miss Him so much! I wish I could trust that Spirit again. The one that made me work, yes, but through love for God, not obedience to THEM. I still believe in God. But yes, I’ve been confused as to who He is and what it is He really requires from us. In John 2:14-16, Jesus storms into the temple courts with a whip to drive out those elements which do not belong there. Zeal for his Father’s house CONSUMED him!! In seeking the Christ within each of us, there are stages of growth. One of which is this kind of righteous indignation he showed at the temple. I believe my anger and tears were the work of the Holy Spirit overturning the tables and reclaiming the temple of my body. Yes, Jesus wept over Jerusalem. He condemned it and wept. I think it is no different for us. 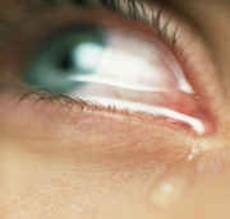 I wept losing my beloved religion, but I also had to be honest and condemn it for what it was. Anger is part of speaking truthfully. Jesus proved this. But we do have to be careful that it does not control us and make us worse sinners than those we fight against. The bitterness can fester and thereby give a foothold to the devil. That is why Jesus taught us to pray for and bless those who persecute us. Forgiveness is armor for us, not permission given to them to wipe their feet on our backs. Jesus knows that when we have his Spirit in us, we are powerful in our words and actions. He wants Lordship even in our justified and righteous anger. I have learned to give it to him and use it to glorify him. 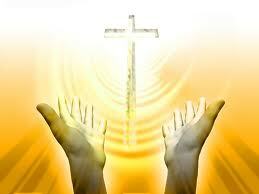 May God be praised in the fire that motivates those who expose religions that falsely represent him. I am grateful for Mental Illness Awareness Week every October. During that time, dedicated volunteers from the National Alliance on Mental Illness use the opportunity to make known their services to help those suffering from chemical imbalance, stress caused by physical, sexual, and emotional abuse including the trauma incurred by those exposed to war. There is a network to those experiencing the post traumatic stress of abuse brought on by mind control also, but it is largely unknown and underground. That is why I feel it is necessary to bring it out from the shadows and into the realm of print this month. There are literally thousands of websites dedicated to helping those affected by cult involvement and mind control. Cults often persuade their members not to search these websites out, but I encourage those who are suffering or know someone who is to begin looking for answers in the interest of their mental health. There is help, there is hope. During Mental Illness Awareness Week, many newspaper editorials make us aware of the chemical imbalance responsible for mood swings and the treatments available. They also note the effects on the brain from various past abuse and the necessity for counseling through such traumatic experience. We can be grateful for those who research and publish the information. An often overlooked area is spiritual abuse through mind control and how many people do suffer mental illness because it. I believe cult awareness belongs with Mental Illness Awareness and so I am sharing this as my contribution to Mental Illness Awareness Week. Your doctor, no matter how skilled and educated, may not understand the unique struggles you face in overcoming trauma brought on by years of spiritual abuse, but there is help through the many websites dedicated to discussion (group and one-on-one), prayer, and information to help you in your journey toward better mental health. Please begin the search today. In 1961, Dr. Robert J. Lifton wrote the book Thought Reform and the Psychology of Totalism, after studying the effects of mind control on American prisoners of the war under the Communist Chinese. In chapter 22 of his book, Psychiatrist and Professor Robert J. Lifton outlines eight criteria of mind control, whether used by political, religious or psychological cults. Members of high-demand organizations often experience the gradual narrowing of their thoughts. Their life experiences and future expectations are restricted and reduced to conform with that of the group. When this tendency is combined with an intense belief system that emphasizes the benefits of life in a higher plane of existence, members are more easily influenced to radically commit themselves to behavior they would not otherwise choose which sets up a perfect breeding ground for a mental disposition referred to as cognitive dissonance. Even after years of physically leaving a group and its teachings, the person’s mental health is impaired and they need support and healing. These are the eight criteria found in Lifton’s study on Thought Reform. Milieu Control This involves the control of information and communication both within the environment and, ultimately, within the individual, resulting in a significant degree of isolation from society at large. Mystical Manipulation There is manipulation of experiences that appear spontaneous but in fact were planned and orchestrated by the group or its leaders in order to demonstrate divine authority or spiritual advancement or some special gift or talent that will then allow the leader to reinterpret events, scripture, and experiences as he or she wishes. Demand for Purity The world is viewed as black and white and the members are constantly exhorted to conform to the ideology of the group and strive for perfection. The induction of guilt and/or shame is a powerful control device used here. Confession Sins, as defined by the group, are to be confessed either to a personal monitor or publicly to the group. There is no confidentiality; members’ “sins,” “attitudes,” and “faults” are discussed and exploited by the leaders. Sacred Science The group’s doctrine or ideology is considered to be the ultimate Truth, beyond all questioning or dispute. Truth is not to be found outside the group. The leader, as the spokesperson for God or for all humanity, is likewise above criticism. Loading the Language The group interprets or uses words and phrases in new ways so that often the outside world does not understand. This jargon consists of thought-terminating clichés, which serve to alter members’ thought processes to conform to the group’s way of thinking. Doctrine over person Member’s personal experiences are subordinated to the sacred science and any contrary experiences must be denied or reinterpreted to fit the ideology of the group. I am not blaming the Watchtower for anybody’s chemical imbalance which manifests itself as mental illness. But I am not shy about exposing the trauma their oppression has caused in many minds including my own. As their Awake! article pointed out, there is such a thing as spiritual sickness and physical sickness. I still deal with my physical sickness of seasonal depression, but I am joy-filled even through dark days because I know my savior lives and he LOVES me. THAT is what was TAKEN from me as one of Jehovah’s Witnesses–the TRUTH that GOD LOVES ME. It made me insane to keep having to guess if Jehovah would still love me if I missed a meeting or didn’t get my hours in the door-to-door service! Now I know for certainty that God loves me and I will not let mere men oppress me again for it leads to spiritual sickness due to a divided mind that is not WHOLLY dedicated to God. Now that the Watchtower is no longer controlling my mind, I can once again love God with my WHOLE mind, heart, soul and strength. AMEN!! !